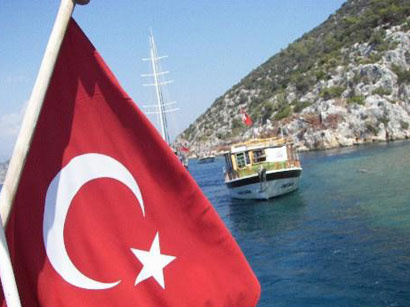 In February 2019, 21,600 tourists from the UAE and Saudi Arabia visited Turkey, the Ministry of Culture and Tourism of Turkey told Trend. Some 1,400 tourists from the UAE visited Turkey during the aforementioned period, which is 1.9 percent more compared to the same period in 2018. The share of Emirati citizens in the total number of foreigners who visited Turkey in February was 0.09 percent. It was noted that 3,900 tourists from the UAE visited Turkey according to the results of 2 months of 2019 (January-February), which is 11.28 percent more compared to the results of the same period in 2018. In February 2019, Turkey was visited by 20,200 tourists from Saudi Arabia, which is 4.1 percent less compared to the same period in 2018. The share of Saudi citizens in the total number of foreigners who visited Turkey during this period was 1.21 percent. The ministry added that 44,500 tourists from Saudi Arabia visited Turkey, which is 37.5 percent less compared to the results of the same period of 2018, according to the ministry. In February 2019, 1,670 million tourists visited Turkey, which is 9.38 percent more compared to the same period in 2018. During this period, Istanbul was visited by over 984,000 tourists, with Antalya being visited by 135,000 tourists.